Sounds fun, doesn't it? Well, our theme this time is "Blue"
1-Post something on your own blog related to the blue color: You can show your latest blue creation, your favorite blue room, brag about your blue hydrangeas, share that blueberry cake recipe that your family loves so much...you know, the BLUE sky is the limit....Don't forget to say you are participating in the Etsy Cottage Style Blog Blue Party and add the button! 2-Sign up your name and your blog address in the Mr. Linky box at the end of this post. 3-Have fun visiting the other Guests blogs and having visitors over! Don't forget to leave a comment to thank your Host! I love their different shades of blue and I don't mind if they are chipped or stained...because just like us, they get better with age! The Party is now over, but stay tuned because we'll have one (different theme) every month!! I am going to try, I don't have a lot of blue either but I am in love with robin's egg blue, does that count? Let me see what I can do!!! Oh how I love your blue transferware! Each piece is just divine!! 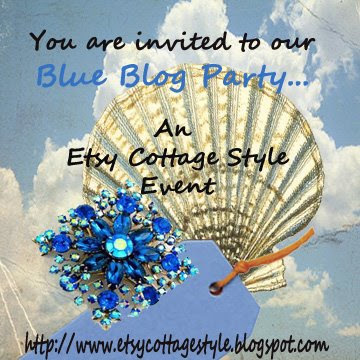 This Blue Blog Party sounds like tons of fun! A GREAT idea! Thanks for the invitation! I will be out of town, but please include me in your next event like this. It looks like so much fun! Your blue transferware is beautiful. It has always been one of my favorites. Love your Blue Transferware Collection - you've displayed it beautifully throughout your home. Isn't it wonderful when we can make a house our home by surrounding ourselves with things we love. I love your blue transferware...very pretty. You really have alot of beautiful pieces! I'm actually a pink junkie, but I do have a few favorite things that are blue, so I'm in! I wish I had room for lots of transferware, i like it so much, thanks for hosting the party. Lovely blues! Thanks for the invite. Marcela, Thank you for the invite! I love your blue china collection! Quite fun Marcela! Thanks for inviting me...prompted me to post and to clean my porch!lol! love your blue collection, very pretty! I love all your blue transferware..just beautiful. I am confused on the DATE of this party...today? And, will there be another? thank you for the invitation - great blog and looks like a wonderful group! Hello Marcela, your blue pieces are so cottage chic. Thank you for inviting me to your Blue party. I've just made a post. I'm glad you have included me in your Etsy shop favorite things. Hi! 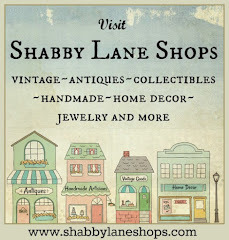 Thank you so much for visiting my blog, and inviting me to be a part of the party:). What fun! I am going to post some blues. Your transferware is beautiful!!! Thanks again you are a wonderful host and a treasured blogger friend! Gorgeous blue transferware! Just love it! Thank you for the invite! Everything is so pretty! Love the blue and white, I have a great pair of vases I am going to turn into lamps. Marcela, those are just gorgeous! You certainly have acquired quite the collection! Love all your blue transferware. Blue is my favorite color so I had to join in. I will be posting blue for the next several days on my blog. Thanks so much for such a wonderful idea. Great idea! Thanks for including me. I'll post on my blog and etsy. Hope you have great success with the party!! Thank you so much for the "invite" to the party! I am enjoying taking a peek at all of the pretty blue posts! Come on over for some punch, I just finished my Blue post, only blogger is playing havoc with me, so please excuse any mess. wow, what a good turn out for the party!! I am headed out to visit everyone! Oh how we'd love to live in your china cabinet!! I love so much that kind of parties, so i can find marvellous blogs like yours!! every blue post is stunning! thank you all!! i think mine is the shortest... :S but, i hope you like it!! kisses from Spain!! :D i love u girls! Have an art-filled weekend ahead!! What a great idea! I'm loving looking at all of the beautiful blue things! Thanks for hosting this! I love love love BLUE, it reminds me of the sea, the ocean and the sky. Blue is the color that inspires me, and calms me. Thank you for this great post! This post inspired me to create something blue for our brides. Something with blue rhinestones, thanks for the inspiration. I am sorry to have missed the 'Blue' event but look forward to the next one. So many creative blues, you folks are amazing! I really enjoyed this. See you next time. I just found your blog and this sounds so fun. I need to find something blue to blog about now. Off I go! See you at the party! I absolutely love all your transferware! I have several sets myself and find myself "sneaking" new pieces past my husband all the time. He says pretty soon he is going to price tags on all my dishes and have a sale! What a stinker huh?